I am a postdoctoral fellow in the Department of Mathematics at Colorado State University. My research interests primarily lie within random topology and geometry through combinatorial and stat-mech methods, with a view towards knot theory. This research has connections through various lenses to biology, physics, and chemistry. I completed my PhD in May of 2017 under the direction of Jason Cantarella. Recently I have been studying knots from the map-theoretic view of knot diagrams, and my research interests include low-dimensional topology, differential geometry, combinatorics, and probability. A random alternating knot. I have shown that alternating knots are exponentially rare in the set of all knots. My Athena .csv → Webwork converter converts Athena (UGA's student and faculty information system) course roll .csv files to .lst files for import into the WebWork homework system. I have contributed to Jason Cantarella's plCurve, primarily in adding a robust Python interface for scripting experiments on knot shadows and diagrams. During Summer 2014 I was supported by NSF DUE-12-45540 in order to produce an augmented reality demonstration for projectile motion that works with any webcam/projector setup. During Summer 2012 and the 2012-2013 school year, I was supported by the University of Georgia's VIGRE II grant. I graduated from Bowdoin College in May of 2011 with a B.A. in Mathematics and Computer Science, with Honors in Mathematics. For the Spring 2019 semester at CSU, I'm teaching Math 317 (Advanced Calculus of One Variable). Previously, I taught Calc III (Math 261) and Linear Algebra (Math 369) at CSU. When I was at UGA, I taught Calculus for Science and Engineering (Spring 2014, Spring 2016, Fall 2016), and Precalculus (Fall 2013, Fall 2015, Spring 2017), and I was a Writing Intensive Program teaching assistant for a robotics-based Calculus I course (Fall 2015). For a full list, see my research page. Entries are also available in BibTeX format. On the structure and scarcity of alternating knots. Given a class of objects, a pattern theorem is a powerful result describing their structure. We show that alternating knots exhibit a pattern theorem, and use this result to prove a long-standing conjecture that alternating knots grow rare. This is currently the best possible analogue of a pair of theorems on alternating links of Sundberg and Thistlethwaite in 1998 and Thistlethwaite in 1998, given the current obstructions to an exact enumeration of knot diagrams. We also discuss implications of this pattern theorem for subknots and slipknots in minimal alternating knot diagrams and types, partially answering a conjecture of Millett and Jablan. A Markov chain sampler for plane curves. A plane curve is a knot diagram in which each crossing is replaced by a 4-valent vertex, and so are dual to a subset of planar quadrangulations. The aim of this paper is to introduce a new tool for sampling diagrams via sampling of plane curves. At present the most efficient method for sampling diagrams is rejection sampling, however that method is inefficient at even modest sizes. We introduce Markov chains that sample from the space of plane curves using local moves based on Reidemeister moves. By then mapping vertices on those curves to crossings we produce random knot diagrams. Combining this chain with flat histogram methods we achieve an efficient sampler of plane curves and knot diagrams. By analysing data from this chain we are able to estimate the number of knot diagrams of a given size and also compute knotting probabilities and so investigate their asymptotic behaviour. The presence of slipknots in configurations of proteins and DNA has been shown to affect their functionality, or alter it entirely. Historically, polymers are modeled as polygonal chains in space. As an alternative to space curves, we provide a framework for working with subknots inside of knot diagrams via knotoid diagrams. We prove using a pattern theorem for knot diagrams that not only are almost all knot diagrams slipknotted, almost all unknot diagrams are slipknotted. This proves in the random diagram model a conjecture yet unproven in random space curve models. We also discuss conjectures on the enumeration of knotoid diagrams. A diagrammatic theory of random knots. PhD thesis, University of Georgia. We study random knotting by considering knot and link diagrams as decorated, (rooted) topological maps on spheres and pulling them uniformly from among sets of a given number of vertices n. This model is an exciting new model which captures both the random geometry of space curve models of knotting as well as the ease of computing invariants from diagrams. This model of random knotting is similar to those studied by Diao et al., and Dunfield et al. We prove that unknot diagrams are asymptotically exponentially rare, an analogue of Sumners and Whittington's result for self-avoiding walks. Our proof uses the same idea: We first show that knot diagrams obey a pattern theorem and exhibit fractal structure. We use a rejection sampling method to present experimental data showing that these asymptotic results occur quickly, and compare parallels to other models of random knots. We finish by providing a number of extensions to the diagram model. The diagram model can be used to study embedded graph theory, open knot theory, virtual knot theory, and even random knots of fixed type. In this latter scenario, we prove a result still unproven for other models of random knotting. We additionally discuss an alternative method for randomly sampling diagrams via a Markov chain Monte Carlo method. Asymptotic laws for random knot diagrams. Journal of Physics A: Mathematical and Theoretical 50 (2017), no. 22, p. 225001. We study random knotting by considering knot and link diagrams as decorated, (rooted) topological maps on spheres and pulling them uniformly from among sets of a given number of vertices n, as first established in recent work with Cantarella and Mastin. The knot diagram model is an exciting new model which captures both the random geometry of space curve models of knotting as well as the ease of computing invariants from diagrams. We prove that unknot diagrams are asymptotically exponentially rare, an analogue of Sumners and Whittington’s landmark result for self-avoiding polygons. Our proof uses the same key idea: we first show that knot diagrams obey a pattern theorem, which describes their fractal structure. We examine how quickly this behavior occurs in practice. As a consequence, almost all diagrams are asymmetric, simplifying sampling from this model. We conclude with experimental data on knotting in this model. This model of random knotting is similar to those studied by Diao et al, and Dunfield et al. Knot probabilities in random diagrams. With Jason Cantarella and Matt Mastin. Journal of Physics A: Mathematical and Theoretical 49 (2016), no. 40, p. 405001. We consider a natural model of random knotting—choose a knot diagram at random from the finite set of diagrams with n crossings. We tabulate diagrams with 10 and fewer crossings and classify the diagrams by knot type, allowing us to compute exact probabilities for knots in this model. As expected, most diagrams with 10 and fewer crossings are unknots (about 78% of the roughly 1.6 billion 10 crossing diagrams). For these crossing numbers, the unknot fraction is mostly explained by the prevalence of ‘tree-like’ diagrams which are unknots for any assignment of over/under information at crossings. The data shows a roughly linear relationship between the log of knot type probability and the log of the frequency rank of the knot type, analogous to Zipf’s law for word frequency. The complete tabulation and all knot frequencies are included as supplementary data. For a full list, see my research page. Geometry, Topology and Dynamics Seminar. Okinawa Institute of Science and Technology, Okinawa, Japan, February 2019. Random Knot Diagrams: New results on open questions. Ochanomizu University, Tokyo, Japan, May 2018. An efficient Markov chain sampler for plane curves. University of British Columbia, Vancouver, BC, March 2018. Steady states for crossing changes in knot diagrams. The Topology of Nucleic Acids: Research at the Interface of Low-Dimensional Topology, Polymer Physics and Molecular Biology. 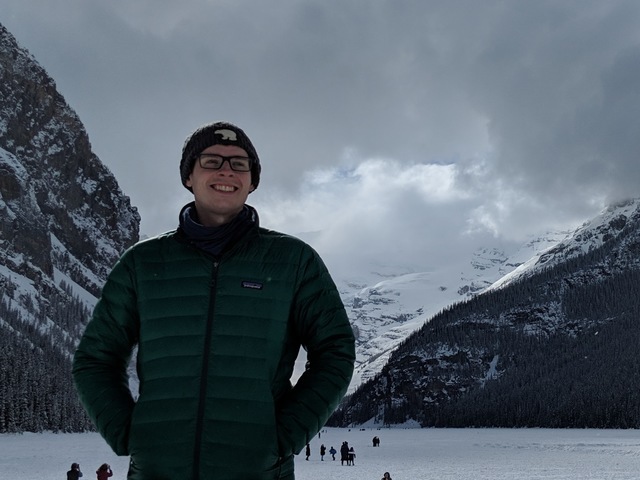 Banff International Research Station (BIRS), Banff, AB, Canada, March 2019. A Markov chain sampler for knot diagrams. Special Session on Mathematical Methods for the Study of the Three Dimensional Structure of Biopolymers (AMS Fall Western Sectional Meeting 2018). San Francisco State University, San Francisco, CA, October 2018. 2018 Summer Conference on Topology and its Applications. Western Kentucky University, Bowling Green, KY, July 2018.